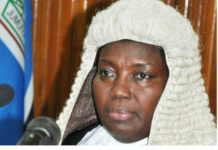 The Parliamentary Committee on Commissions, Statutory Authorities and State Enterprises (Cosase) yesterday threw out Bank of Uganda Governor, Emmanuel Tumusiime Mutebile and his deputy, Louis Kasekende after they failed to produce the required documentation on how Crane Bank and six other banks were closed. The MPs demanded for inventory reports, loan schedules, customer deposit schedules, statement of affairs and reports on assets and liabilities so as to explain why the commercial banks were closed but Mutebile’s team only had a matrix on the issues raised by the Auditor General. However, the Committee chairman, Hon. 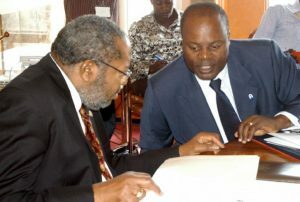 Abdu Katuntu insisted they would not receive the matrix without the supporting documents. 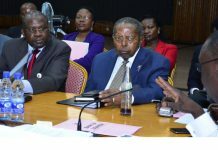 The central bank officials are also required to table minutes of board meetings that decided the closure of the seven banks and reports from BoU’s Directorate of Commercial Banks Supervision sowing the performance of the closed banks in the two years preceding their closure. The closed banks in question are Teefe Bank (1993), International Credit Bank Ltd (1998), Greenland Bank (1999), Co-operative Bank (1999), National Bank of Commerce (2012), Global Trust Bank (2014) and the 2016 sale of Crane Bank to DFCU Bank at Shs200b. 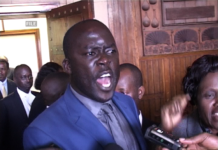 Deputy Governor Kasekende told MPs that some of the documentary evidence they desperately want would not be provided because of legal requirements for the central bank to protect customer confidentiality. 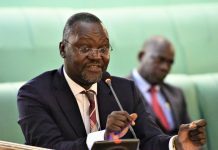 Katuntu, however, ruled that responses to audit queries discovered by the forensic report have to be handled with detailed evidence. 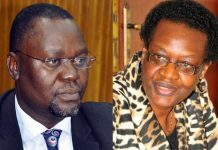 Abdu Kantuntu: We shall not be bullied by the IGG, where was she when BOU was rotting?